It’s Friday morning, time to announce another episode of The Social Web TV! 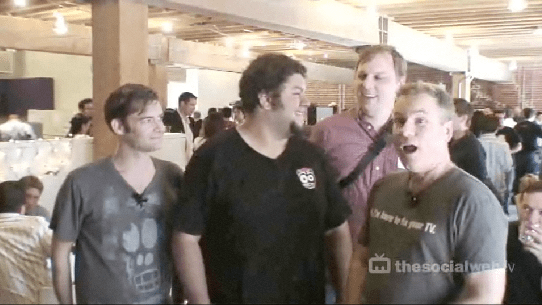 This week is another high-energy on-location show, shot yesterday up in San Francisco at the MySpace “Lunch 2.0” event. Episode 6 features our first-ever special guest, Allen Hurff, SVP of Engineering for MySpace — and our first-ever surprise guest, Michael Arrington of TechCrunch. Here’s Episode 6.